Atacama Genesis 7.0 review | What Hi-Fi? of a head-turner, too – as it should be at the price. to pay. But if price is no problem, this is the rack for you. The Genesis 7.0 is Atacama’s first step into the high-end hi-fi bracket. 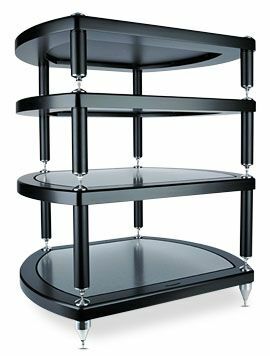 Considerably deeper than previous designs, the four-tier wooden Genesis has shelves that ‘float’ on isolation pads, which in turn rest on a bevelled surface cut into the modular frame. We think it’s a bit of a head-turner, too – as it should be at the price. Putting our kit on the Genesis 7.0 sees it produce a top-notch performance. Everything is smooth and well-balanced, with our test kit producing a confident delivery that’s responsive and packed with subtlety, timing and detail. So why four stars? Despite all the pluses, we felt the internal finish and some of the fittings didn’t befit the price, while £300 per shelf is a fair whack to pay. But if price is no problem, this is the rack for you.